Our mission is to help open doors for the aspiring television writer. The participants Scriptapalooza has chosen to read the winning scripts are individuals from established production companies. 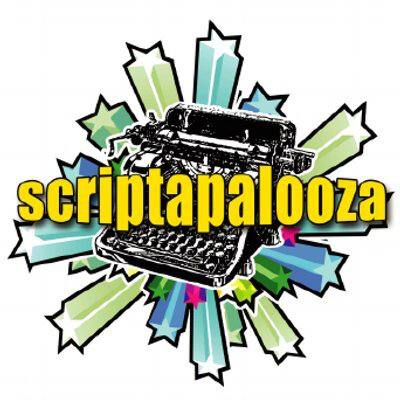 Whether you are already an aspiring television writer or a writer interested in exploring other avenues, Scriptapalooza TV is here to promote careers in television and provide exposure for the undiscovered writer. The television competition is awarding over $3,000 in cash prizes. All the winners will be sent to over 50 producers, managers, and agents. After Scriptapalooza announces the TV winners we do call and promote the 12 winners to all of our contacts. Also, we do get calls from interested agents, managers, and producers looking to read the top winners. 1st place in each category gets $500 in cash, an ISA Connect membership, and an InkTip listing. 2nd place in each category gets $200 in cash, an ISA Connect membership, and an InkTip listing. 3rd place in each category gets $100 in cash, an ISA Connect membership, and an InkTip listing. 1. Any spec script from any existing television show, or any original television pilot will be considered. Reality shows are accepted also. 2. Entered scripts may not have been previously sold. 3. Multiple entries are accepted, provided a signed entry form and appropriate entry fee is attached to each submission. 4. Multiple authorship is acceptable. 5. Scripts must be the original work of the author(s),18 or older. 6. Scriptapalooza recommends registering your script with The Library of Congress. 7. No substitutions of new drafts or corrected pages for script entries will be accepted under any circumstances. 9. Submit scripts in English only. 10. Do not send originals. Scripts will not be returned under any circumstances. 11. Please submit your entry with all your information on the cover page: The title, author's name, address, phone number and email address. 12. Body pages must be numbered. 13. Scripts must be in television standard format. 14. Entry in the competition is void where prohibited by law.